Sometimes data become corrupted during copying or moving them, especially during bull operations where you move or copy a huge amount of files and folders. When a copy becomes corrupted, the process is halted. What makes this worse is that when you move a file the source may be already deleted and therefore inaccessible. Corrupted data can easily be spotted because they are grayed out in the Finder app, but they are inaccessible. 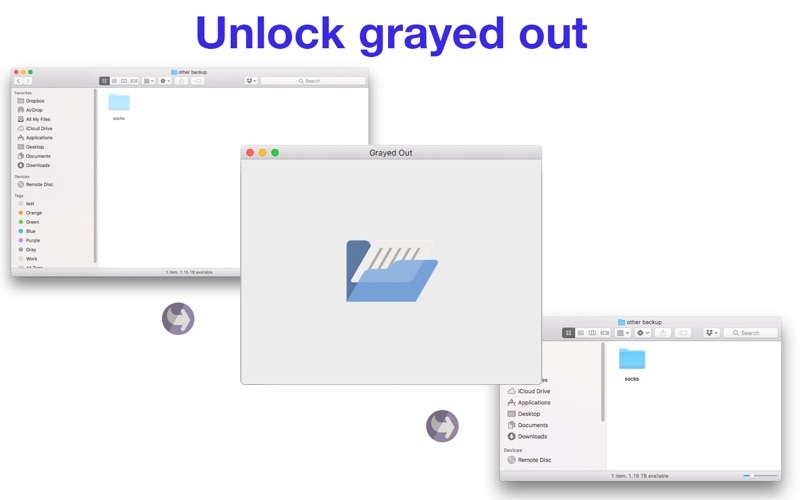 Grayed Out helps you to recover data - files and folders - that have been corrupted while copying and moving them.